with Ginger Beurre Blanc and Forbidden Rice, just to name a couple of favorites. Local sushi rice for our Intermission of Sushi and Sashimi from Rue & Forsman Ranch. Rice, of course, is one of the great food staples of the world, supporting and sustaining nearly two-thirds of the world’s population, with cultivation beginning over 5,000 years ago in China. Commercial rice production wasn’t established in California until 1912, but cultivation first began around the Gold Rush, when rice was brought in to help feed the 40,000-plus Chinese immigrants who were laborers on the railroads. The commercial production that began in 1912 started in Richvale, in Butte County, and has since grown hugely, making California the second largest rice producer in the nation, with the Sacramento area now the top grower in the state. Sacramento is surrounded by rice fields, with the region containing more than 550,000 acres the crop. Amazingly, the Sacramento Valley grows 97% of the state’s rice. California supplies nearly all the nation’s sushi rice while also exporting it to other rice-loving countries that lack the space to grow as much rice as they consume. This even includes Japan! 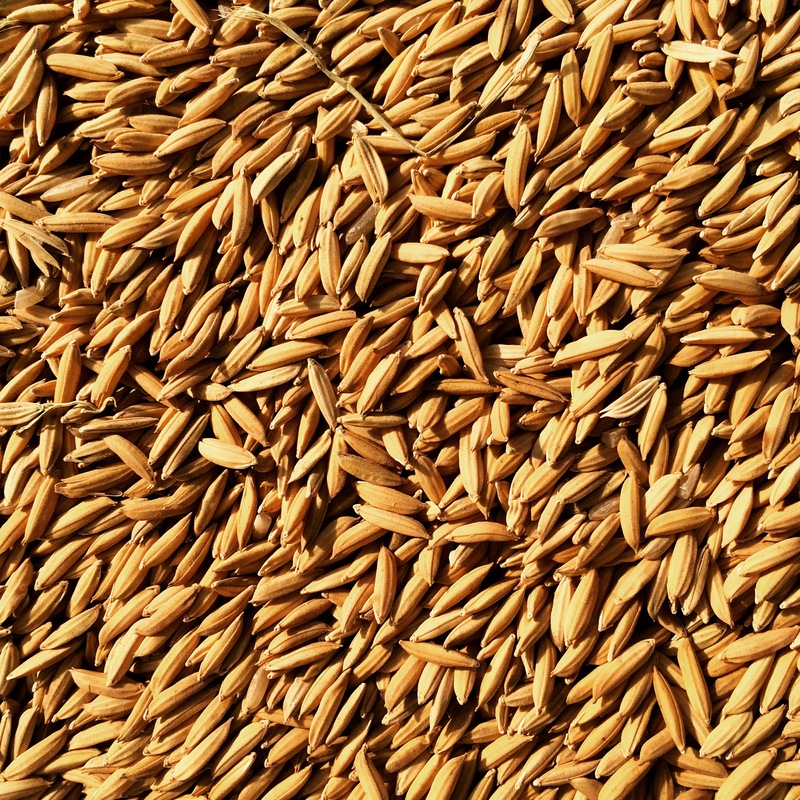 California mostly grows short and long grain japonica varieties of rice, with the CalRose variety, developed specifically for the local climate, making up nearly 85% of production. Harvested rice from Rue and Forsman Ranch in Olivehurst. Photo courtesy of Michael Bosworth. According to the California Rice Commission, growing rice takes less water than you may think, about the same amount as it does to grow oranges or broccoli. The California Rice Commission has also been helping to improve water quality in the Sacramento River Basin for over 20 years, with programs that help reduce pesticides. 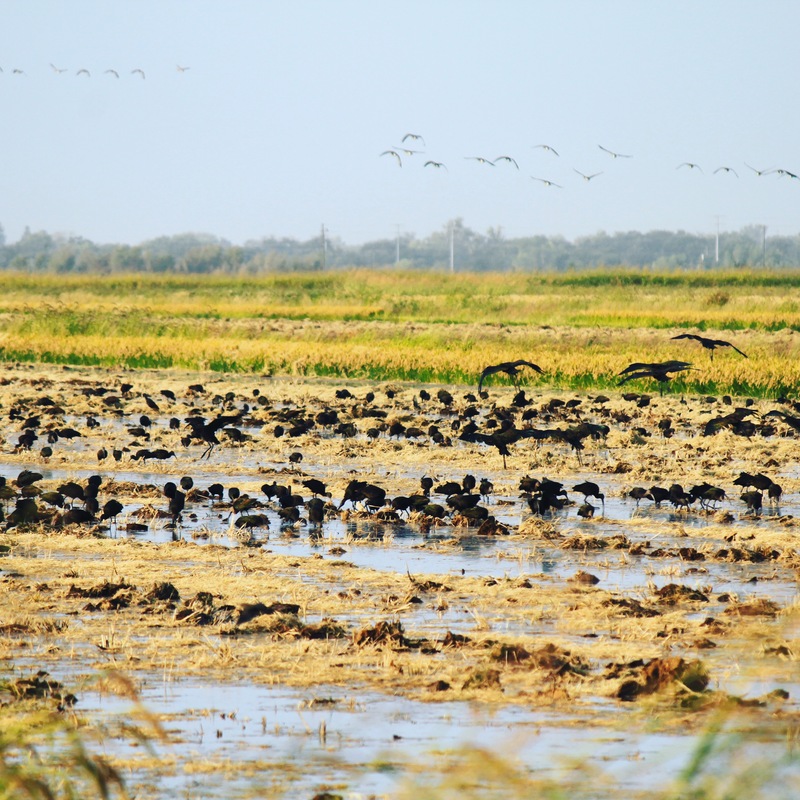 The rice fields of the Sacramento Valley support nearly 230 wildlife species, including birds, mammals, amphibians and reptiles. The rice fields also provide nearly 60% of the food for the millions of ducks and geese that travel along the Pacific Flyway each winter. The wildlife at Rue & Forsman Ranch in Olivehurst. Photo courtesy of Michael Bosworth. 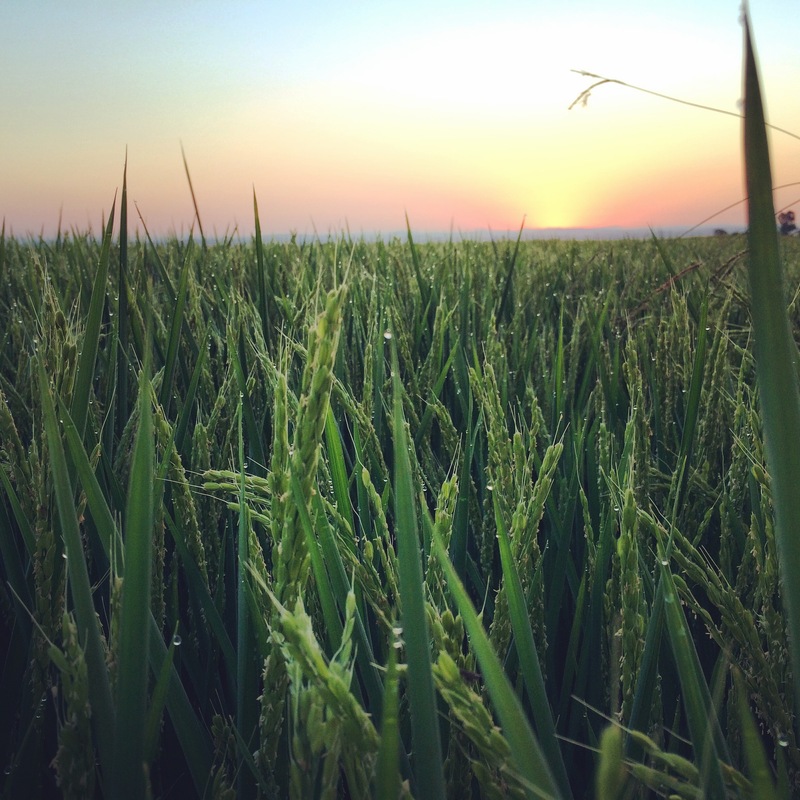 The growing season for rice in California is March-October, starting with field preparation, where the fields are leveled, fertilizer is added, and then shallow furrows are rolled onto the field. Next, in the flooding and seeding stage, 5 inches of water is added to the fields, and then seeds are planted from planes flying overhead at 100 MPH. The rice grows to about 3 feet over the summer months and is usually ready for harvest in September, after which it is dried to an ideal moisture level then stored until it is ready to be milled, which is done year-round. The milling is what gives you either white or brown rice, with brown rice having only the inedible hulls removed and white rice being further milled down and “polished.” The less processed brown rice then is more nutrient rich, with the bran and germ being left intact to provide a healthy dose of B vitamins, manganese, phosphorus, iron and more. 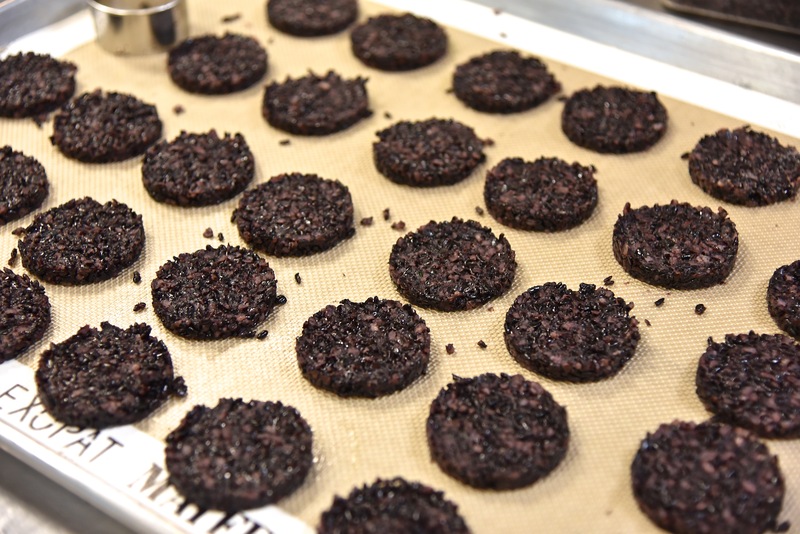 Forbidden Rice made into cakes for a dish at The Kitchen. 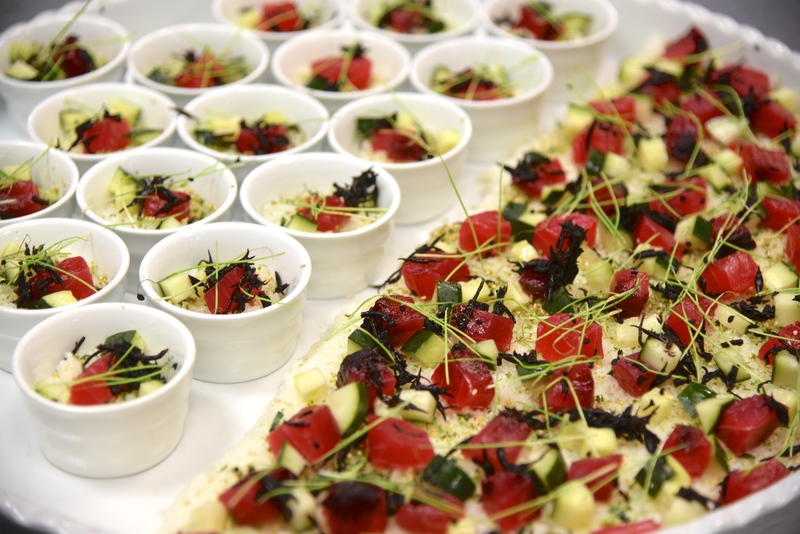 At The Kitchen we use two fantastic California-grown products. We like to use the venerable Lundberg Family Farms for our basmati rice and forbidden rice, amongst other varieties. And for our sushi rice we use a locally grown product that rice farmer Michael Bosworth personally sells to local restaurants and that he grows in Olivehurst at his Rue and Forsman Ranch. We also use his top quality rice at our sister restaurant, Ella Dining Room and Bar. In the Farm to Fork Capital of America, we are fortunate to have access to an embarrassment of riches when it comes to quality local produce, rice being yet another excellent, delicious example. Even in Sacramento, we can’t just live on tomatoes year-round! Sunset in the rice fields at Rue & Forsman Ranch. Photo courtesy of Michael Bosworth.